What is the role of a doctor in 2018? In a tumultuous world in which technology is expanding faster than at any other point in history, where many countries face a myriad of conflicts and natural disasters, and where patient needs are continually changing, it was only fitting that the question we posed to entrants of this year’s Clinical Placement Competition should be “what is the role of a doctor in 2018?”. In partnership with Projects Abroad, we asked medical students to answer this question using a picture and a caption, for the chance to win £2,000 towards a clinical placement abroad. We received a number of insightful and thought-provoking entries, but after careful deliberation, we are delighted to announce that the winner of the Clinical Placement Competition 2018 is Binay Gurung. Binay’s picture portrays an honest and authentic snapshot of medicine around the world, which complemented his definition of the role of a doctor in 2018. We asked Binay to tell us more about the inspiration behind his entry, and about his time in the Nepalese hospital featured in his picture. It was a hot summer day and there were seven of us in the room – a doctor, an auxiliary nurse, a 16-year-old girl (we will call her Rita) and her mother, two other patients waiting to be seen, and me. Rita had been suffering with stomach pain for a few weeks. The doctor, a recent graduate, took a brief history from Rita and asked her to lie on the couch. When he finished examining her abdomen, he said, “Now take off your underwear, lie on your left and bring your knees to your chin.” He wanted to complete the examination with a digital rectal examination. Rita flushed, hesitated for a moment, but complied obediently. This was in a village hospital in Rukum, a remote district in Nepal around 300 km west of Kathmandu, where I had gone for an elective placement. Rita was one of at least fifty patients waiting to be seen that morning, most of whom had walked for one and a half to two days to get there. Among the crowd of people waiting that morning were a malnourished 7-year-old girl who turned out to be HIV positive; an unconscious 22-year-old mother of two rushed in from a village, eight hours away, with wild mushroom poisoning; a middle-aged man with a black gangrenous arm due to a recent fracture that hadn’t been treated; the list goes on. I was surprised that most of the patients only came to the hospital as a last resort, often too late from a clinical point of view, but that wasn’t the main problem they faced there. At least, these people came and were lucky to be receiving some medical care. Many people either did not make it to the hospital in time (around 250 had died in this way the year before), or could not afford the treatment so did not bother coming to the hospital, or went to witch doctors instead for treatment. The hospital was run by a non-government Christian organisation in partnership with the local government. Built on 2000 square meters of land donated by 16 local farmers, it served a large hilly area. I was told that the hospital had a capacity of 50 in-patients, but later realised this calculation was not based on bed space alone, but on bed space plus floor space. The hospital employed 41 people, but only two doctors, nine nurses, and five medical assistants. The hospital heavily relied on medical volunteers from developed countries, so much so that all the 196 major operations performed the year before were by volunteer surgeons. Even with such limited resources, the hospital was doing a commendable work. Apart from running a busy out-patients clinic and a 24-hour emergency service, it organised free medical camps for people living in the very remote regions – 4,500 people had benefited from this service the year before. 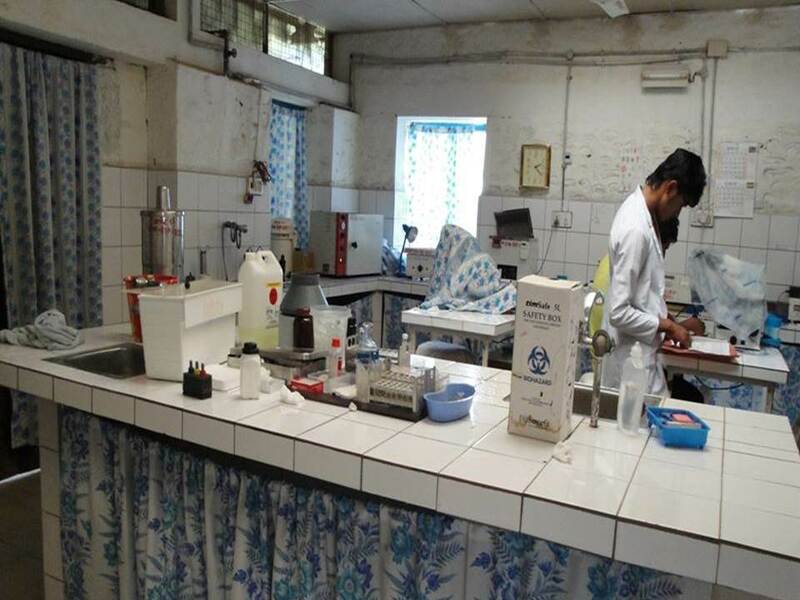 Additionally, the hospital regularly ran a public health programme of education and vaccination for the people in the region, most of whom are illiterate. What I describe here is not unique to Rukum. 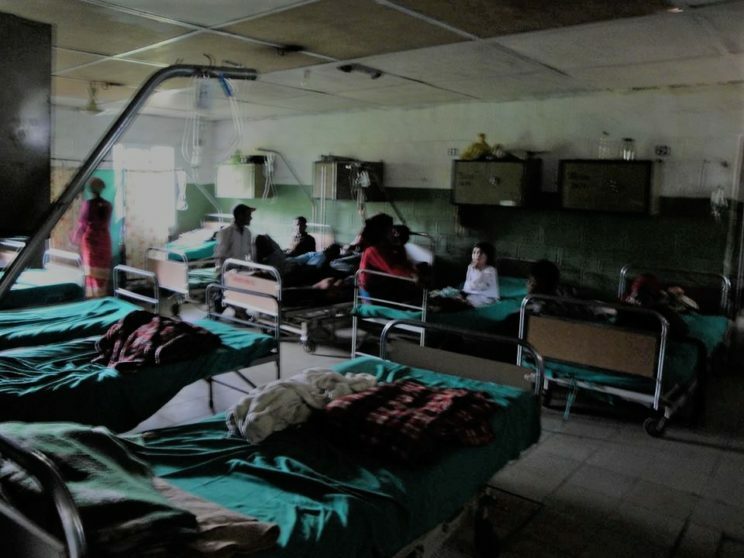 According to a report by the World Health Organisation, at least 400 million people, mostly in low- and middle-income countries, currently lack access to essential healthcare. The situation is worse if we consider surgical care. The Lancet Commission on Global Surgery reported that out of the 313 million surgical procedures undertaken worldwide every year, only 6% occur in the poorest countries. The numbers speak for themselves. Access to healthcare is not the same everywhere and, alarmingly, people in the poorest regions, where over a third of the world’s population live, are the most affected. But why should we care? We should care because it is inhumane not to. And if not for humanity’s sake, it is important that we do something about this for our own selfish reasons. As Dr Margaret Chan, the World Health Organisation’s former director-general, said in her Chatham House speech in 2011, we are so interdependent in this world that the consequences of an adverse event in one part can directly affect people in the opposite corner of the world. This was demonstrated with severe consequences by the 2008 financial crisis and equally by the recent Ebola outbreak in 2014. It is about time we do something about such injustice in healthcare, and who better to carry this responsibility than doctors, the group of professionals who have taken a solemn pledge to dedicate their lives to the service of humanity? We should redefine a doctor’s role, in 2018 and the years to come, to include advocating for the promotion of global health equity and equality. Featured image credit: ‘Nepal in the world (W3)’ by TUBS. CC BY-SA 3.0 via Wikimedia Commons. Binay Gurung BSc (Hons) MRes is a final year medical student at the University of Leicester. He is the Secretary of the Students for Global Health's National Working Group for Global Surgery. He is also the immediate past-President of the Royal Society of Medicine's Students section. Binay is the winner of the Oxford Clinical Placement Competition 2018.